The name of this mosque roughly translates into ‘Hours Mosque’. The reference to time comes from the clock on the minaret. Originally though, the mosque was a church; the conversion happened in 1928. 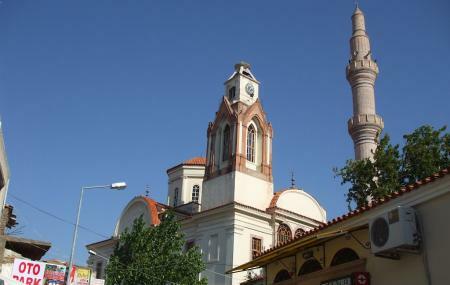 The mosque, which was completed in 1870, has a simple and elegant architecture. How popular is Saatli Cami? People normally club together Badavut Beach and Taksiyarhis Kilisesi while planning their visit to Saatli Cami.